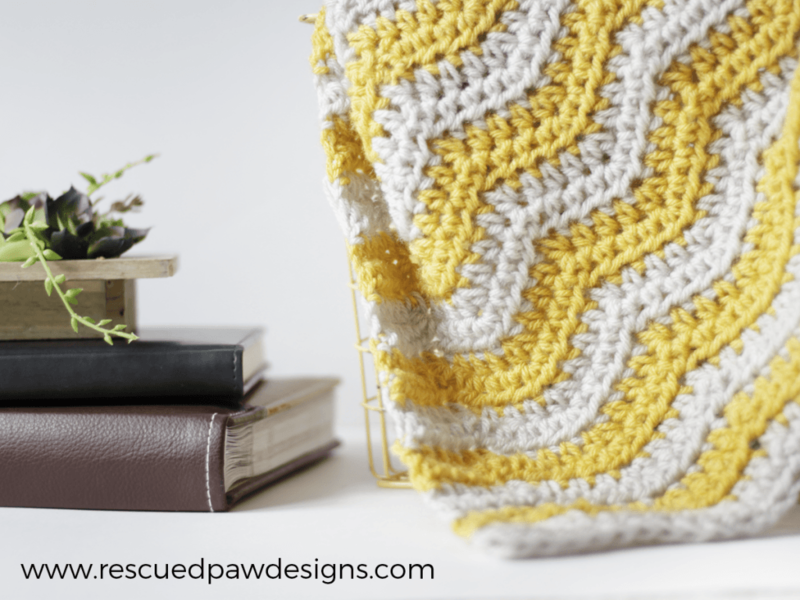 Make this simple half double crochet stitch ripple baby blanket today with this free crochet pattern and tutorial. 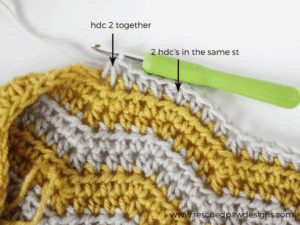 Read on down to get started on your next crocheted project! 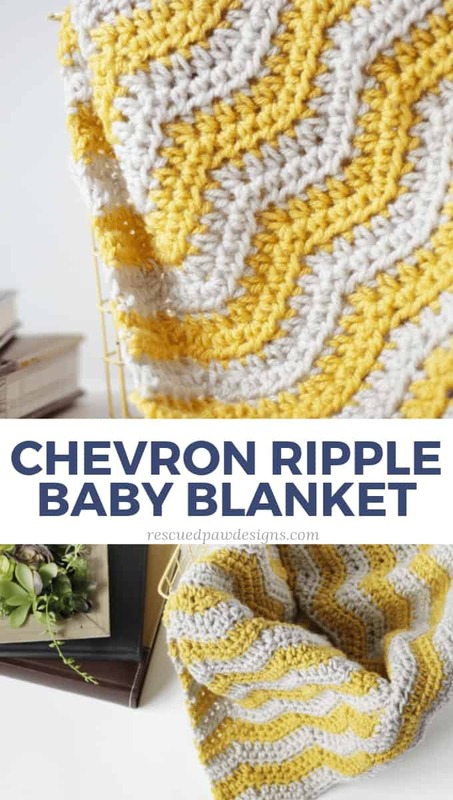 Great ripple blanket to make as a baby shower gift! I have been dreaming about designing a smaller version of my Neutral Crochet Chevron pattern (find it “HERE“) and this little beauty of a ripple crochet baby blanket was the result. 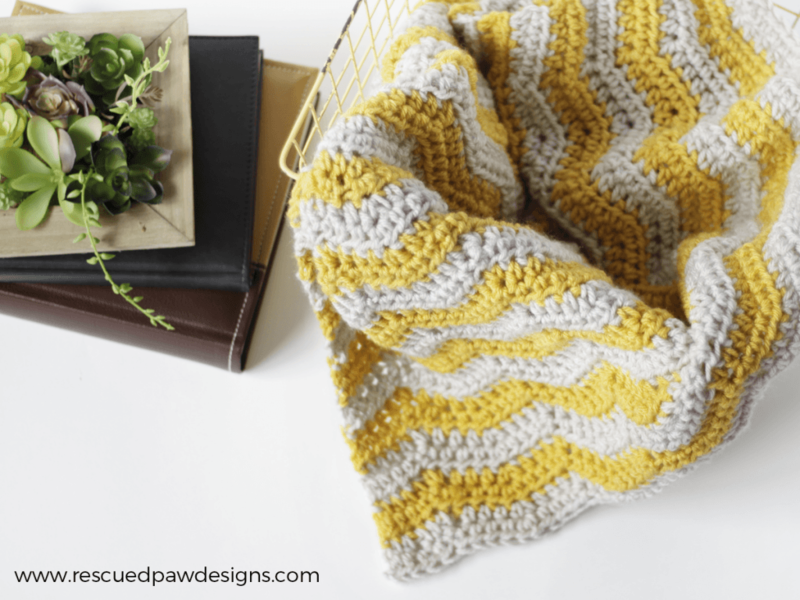 This free baby ripple afghan is great for baby showers, gifts and a just because present. 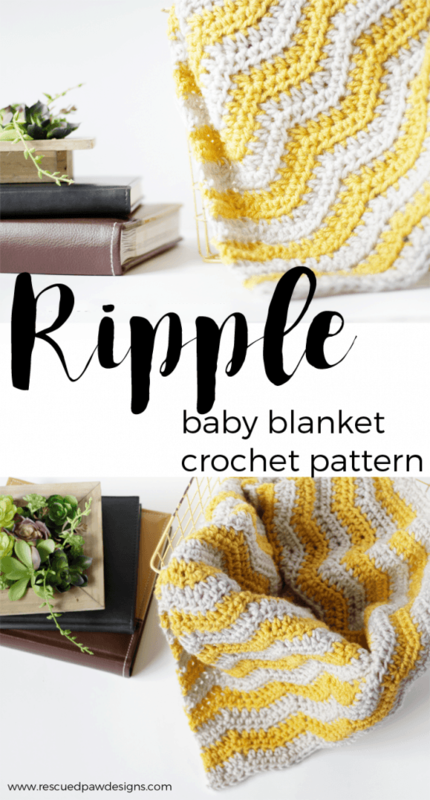 Have fun making this easy ripple crochet baby blanket pattern! When I worked up this blanket I wrote it to be the perfect size for a baby / stroller blanket, but it can be easily adjusted with the directions provided below. I would love to see it made in a different size so please do try it and share it with me! 🙂 Another great bonus about this design is that it’s such a fast baby blanket crochet pattern to work up which is always a good thing in my book! Click the Yarn below to take a peek! One of the easiest Ripple Baby Blankets! Like I said before this blanket works up pretty easily! It is easily one of the fastest baby blanket patterns! I promise you can crochet this up quick even if you are a beginner! So if you have been looking and looking through baby crochet patterns online then look no further! All you need is this pattern, some yarn and your crochet hook! Ready to try out this simple crochet baby blanket pattern? 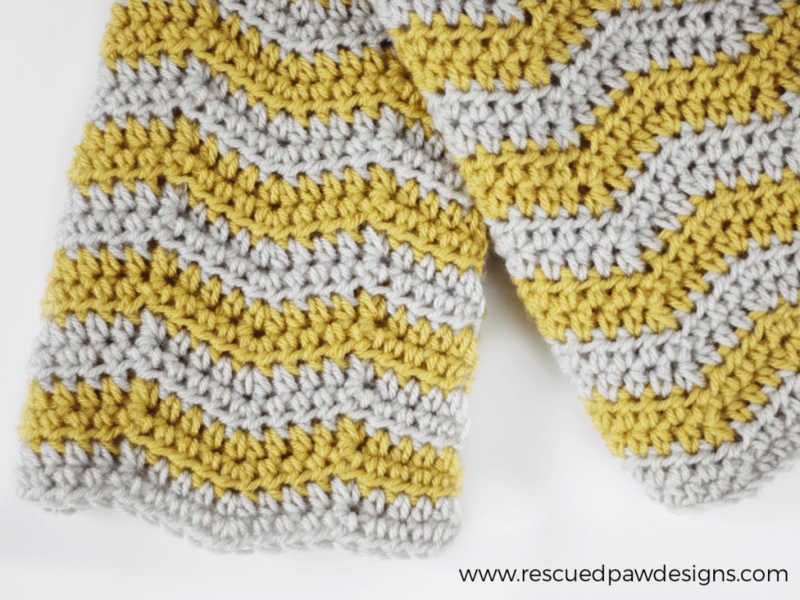 Scroll on down to find the free pattern so you can learn how to crochet a baby blanket or you can Click here to purchase an inexpensive, ad- free PDF in my pattern shop. Gauge is approx. 5 st’s for every 2″ . Each st is approx .5 ” in height. Click here to read why gauge is important to follow. Finished size as written is approximately a 34″ length & 28″ width. To make in different sizes of this blanket, please use a multiple starting ch of 8 then add 2 to whatever length you have chosen. I recommend weaving in ends as you go. 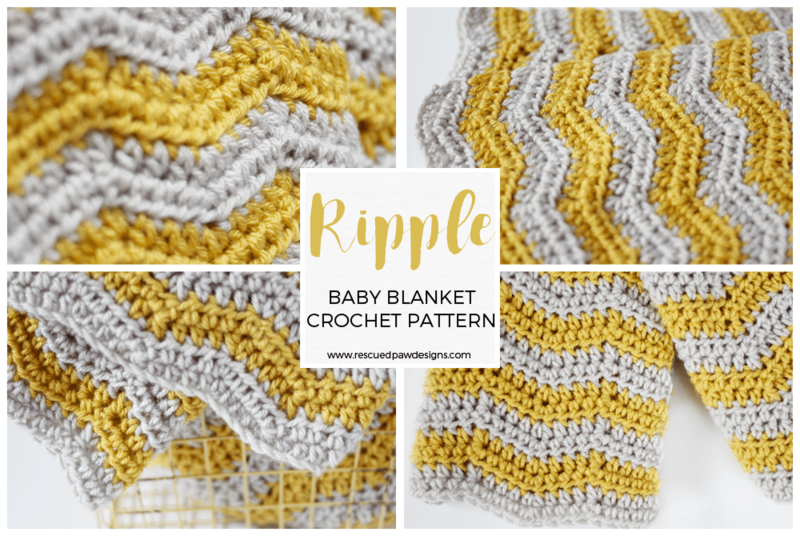 I hope you enjoy the FREE ripple blanket pattern below! Fasten off and weave in loose ends throughout the ripple blanket with a yarn needle. If you have any questions about this baby ripple crochet blanket, please feel free to send me an email! I am more than happy to help in any way possible.